The Firearms Act defines a firearm as a "lethal barrelled weapon of any description" that is capable of firing shots or bullets. Section 1 shotguns differ from typical shotguns, as they can holding more than cartridges. They are often called "pump action" or "semi-automatic" shotguns, and can only be held on a firearm certificate (rather than a shotgun certificate). A valid firearm certificate is required. Handguns such as pistols and revolvers. Shooting sports in the UK that use handguns include modern pentathlon and action/airgun shooting (an indoor shooting sport that takes place indoors using semi-automatic handguns. Long guns such as shotguns and rifles. 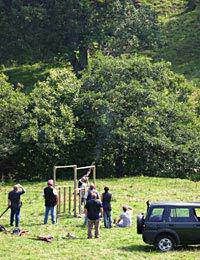 Rifle shooting sports in the UK include field target shooting, biathlon and gallery rifle shooting. To own and use a firearm, you need to have a valid firearm certificate. These are allocated to all applicants, as long as it is believed that you will not be a danger to other people. Previous criminal offences (especially those related to violence) are taken into consideration when deciding if you can legally own a firearm. Factors such as past drug or alcohol abuse will have an effect on the decision, as they can indicate a potential lapse in judgement or control. If you are looking to own firearms for reasons other than pest control or use in shooting competitions, you may be refused a firearm certificate. You should not buy firearms or ammunition before you receive your firearms certificate, as this is classed as your green light to obtain the firearms and ammunition that you asked permission to purchase. Legally, you can only buy the firearms that you requested. When you buy firearms, it should always be in person. The dealer (a Registered Firearms Dealer or other Firearms Certificate holders) must also write the details on the back of your Firearms Certificate - you should not enter them yourself. After purchasing firearms, you must inform your issuing authority within a week. You need to let them know the details of your purchase (for example, a description of the firearm and an identification number, if applicable), the nature of the transaction, and the name and address of the person who sold you the firearm. Under the terms of the Firearms Amendment Act 1997, this should be sent by recorded delivery or registered post. Your firearms dealer is also obliged to inform his or her issuing authority of the sale. If you pass your firearms onto a new owner, you need to fill in the back of their Firearms certificate, just as your seller did for you. If the new owner is a Registered Firearms Dealer, you do not need to do this (he or she will take care of that for you). In all cases, you need to inform your issuing authority of the fact that you no longer own the firearm(s).